Now in its Seventh Edition, this renowned book is a standard reference for the mineral processing industry. Chapters deal with each of the major processing techniques, and coverage includes the latest technical developments in the processing of increasingly complex refractory ores, new equipment and process routes. This new edition has been prepared by the prestigious J K Minerals Research Centre of Australia, which contributes its world-class expertise and ensures that this will continue to be the book of choice for professionals and students in this field. This latest edition highlights the developments and the challenges facing the mineral processor, particularly with regard to the environmental problems posed in improving the efficiency of the existing processes and also in dealing with the waste created. 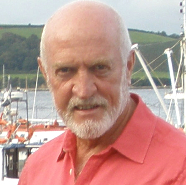 The work is fully indexed and referenced. 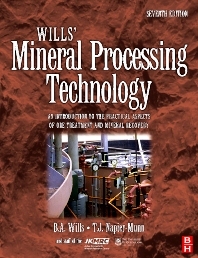 · The classic mineral processing text, revised and updated by a prestigious new team · Provides a clear exposition of the principles and practice of mineral processing, with examples taken from practice · Covers the latest technological developments and highlights the challenges facing the mineral processor · New sections on environmental problems, improving the efficiency of existing processes and dealing with waste. Students and Practitioners of Mineral Processing, Metallurgy, Mining and related fields. This is a very good text. Main textbook used at university. An up to date reference book that delivers a wealth of helpful information and practical support for beginners as well as advanced engineers of this line. Very good and recommendable!